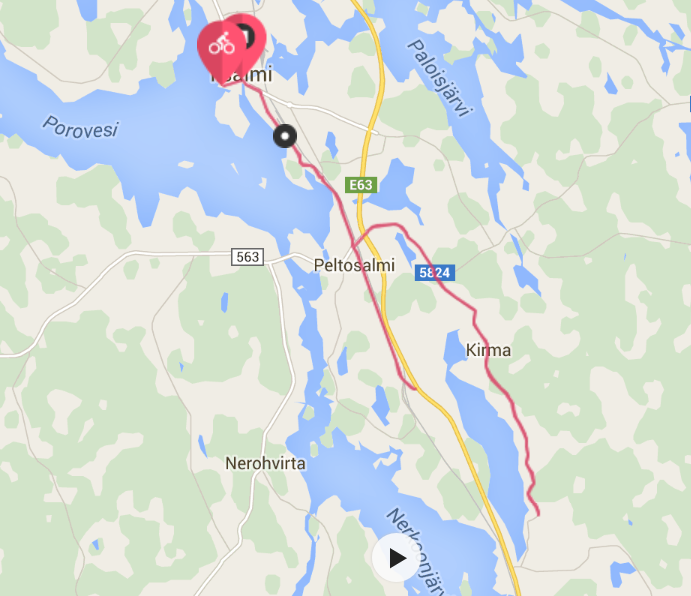 I went to Iisalmi for a tough workout and a training race building up to Ironman Kalmar three weeks ahead. That´s pretty much what I got from there in the end, but not much else went as planned. 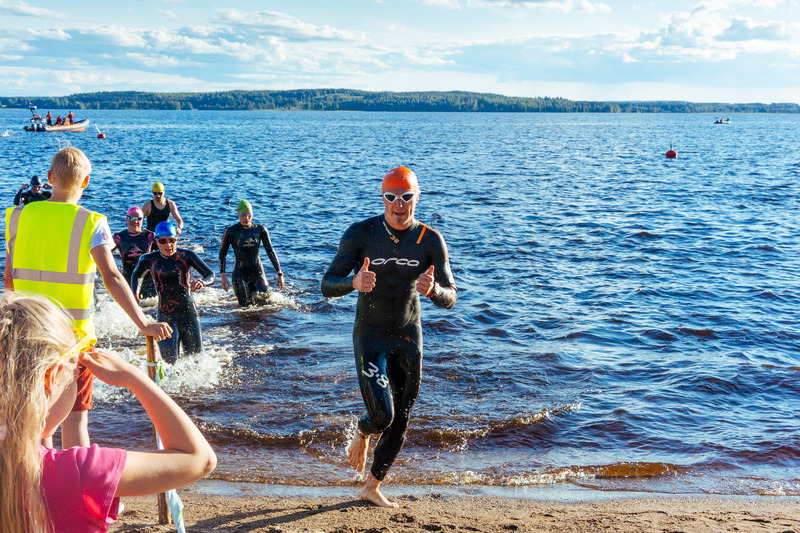 Even though I was approaching the olympic distance in Iisalmi purely as a training race I found myself getting all the familiar pre-race tickles and exitement for the whole day. 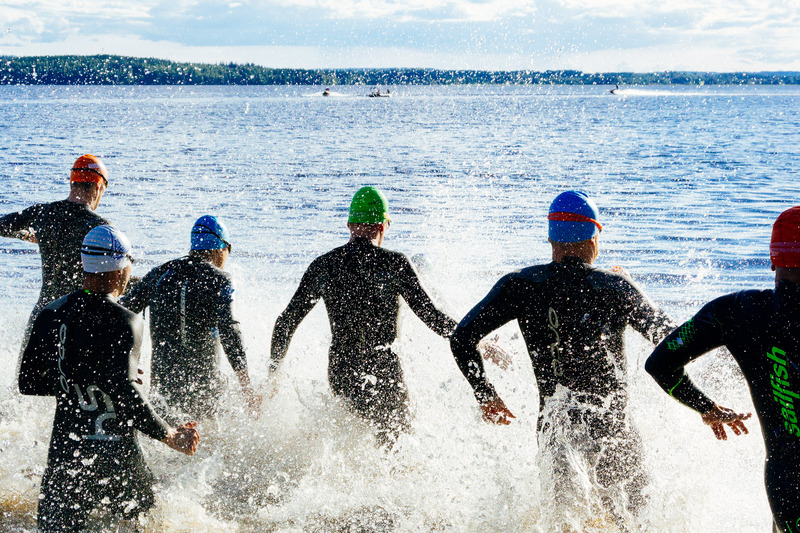 The race was different from most of the typical early morning races as the start was scheduled as late as 7PM in the evening (hence the name night triathlon). I have a routine for morning races but racing in the evening was new to me. I struggled to get my head around how should I eat during the day to be energized for the race while avoiding any possible stomach issues. I ended up arriving on the spot way too early and lingering for hours in the sun with a bottle of water and a granola bar. The swim was one of the toughest for the season. I decided to go all out and see how I fare as that´s what the training races are for anyway. The route markings were small barrels located in each turn and they were extremely difficult to spot especially when swimming towards the sun. I tried following the feet ahead of me but soon noticed others had similar problems with navigation so I decided to try my own luck. 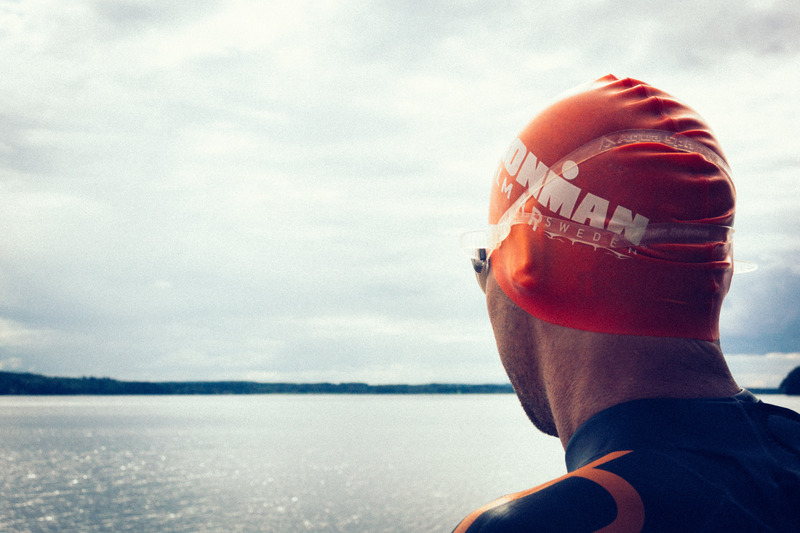 After zigzagging two rounds of the 750m swim route I landed to T1 in just under 24 minutes. Considering the circumstances I was pretty happy with the time and headed for the bike. On the bike I decided to follow the same experiment I started on the swim and cranked the intensity up. I quickly passed a couple of the faster swimmers and at 5km mark I approached a crossroads with no one in sight ahead of me. Most of the four volunteers at the intersection were busy keeping the cars out of the way and the one remaining guy signalled me and the others to go straight forward. I pressed ahead, roughly 10 guys following me. A couple kilometers ahead we came to a long straight section and I was surprised I couldn´t see anyone ahead of us. I knew there should be a couple of guys out there and couldn´t believe that regardless of all my hard effort on the bike they had already been able to drop me that far behind. I kept pedaling in the front and the others followed. Eventually, after 4km of hard biking we came to a T-junction with no volunteers to guide the racers or traffic and it finally hit us – we should have taken a left turn back there in the intersection and we were no longer on the course. It was a long 4km ride back and involved lots of swearing from all of us. Honestly, I even considered dropping out as the 8km detour had already cost us all any decent rankings in the race. I seriously had to remind myself that this was only a training race and the ranking really didn´t matter. I was there for a though workout and that´s what I needed to do. Obviously, not everyone there with me were on their training races and the moods varied from frustration to anger. I felt sorry for the volunteers at the crossroads when we eventually passed them again. I believe they did their best with their limited knowledge on the situation, and eventually it was us who really should have known the route with all the pre-race information and maps that were provided. Once back on the course, the frustration eventually eased up and I kept the intensity high. After riding on the fast lane passing beople for 25ish more kilometers we were finally heading back to T2. On the last 5km stretch I was able to shake off the one persistent follower who´d been riding with me since the detour. It felt like just the small win I needed to feel at least somewhat good about the bike (just to see him pass me again after 3km of running but I didn´t know that coming back then). Looking back at it now, I´m actually pretty happy with the bike split. I was able to keep the intensity and speed up even through the extra miles and still had the legs for a good run. Somewhere along the way I also ended up riding my fastest 40k ever! Regardless of the tough swim and hard bike I really felt like running. I somehow had the need to make up for the mistakes on the bike with a good hard run wether it ended up being a punishment or a reward for myself. I started the run with 4:05-4:10min/km pace and was able to keep it up most of the way except for the couple of uphill sections along the two-lap route. Once I hit the 10km run finish line in just under 42 minutes the winners had already left. I also quickly learned that the challenges on bike course navigation had already been discussed with the race officials and even the winner had taken a 1km detour on another section of the course. 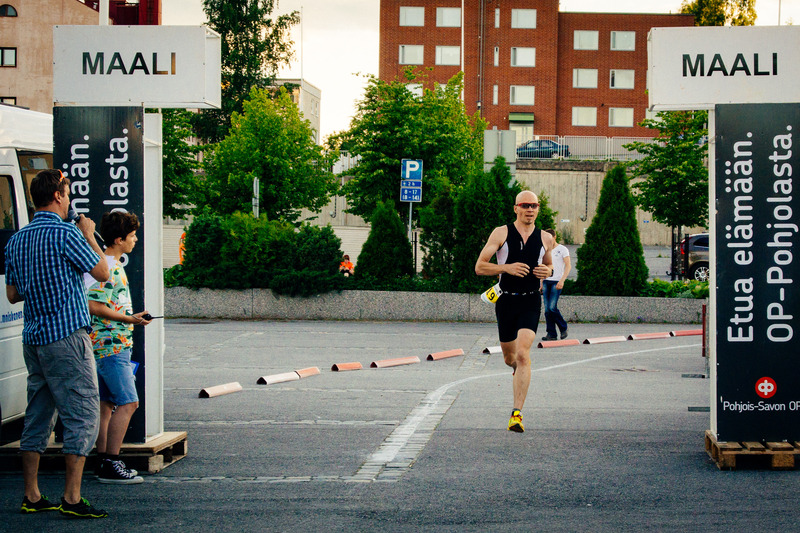 Learned a lot in Iisalmi and definitely got the tough training race I was looking for. 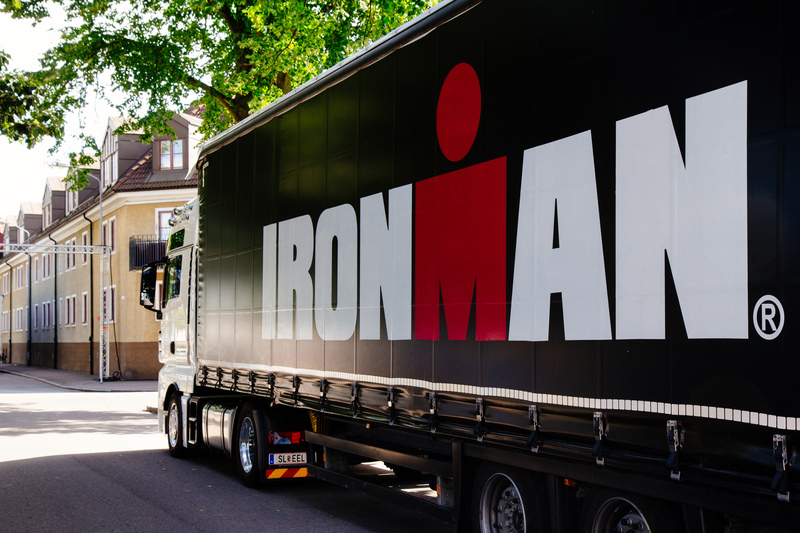 Two weeks of hard training ahead before the final taper for Ironman Kalmar!